After the European Flyboard Championship in Cavalaire, we invited everyone to join us at the Flycaptain spot on the French Riviera. Flyboard around the world second largest private Mega Yacht Eclipse 164 meters near Antibes. Here is a few pictures taken from the gopro. We had a wonderful time together ! Thank you so much everyone involved ! Can't do it without you guys ! Can't wait for the next trip together ! 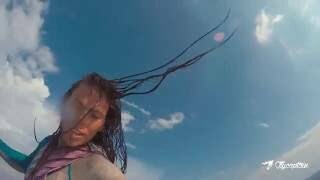 ‪#‎FLYBOARDSQUAD‬ Join us: http://flycaptain.com - http://frenchrivierawatertoys.com In this video: Gemma Weston from New Zealand Ladies World Champion & European Champion Ashton Beukers World Rank #12 Fernando Spinelli Argentina David SoldatoUSA Steve Flycaptain France World Rank #8, Vice European Champion Andrew Hickey UK Suksan TongThai Thailand 2 Times world champion Ibrahim Hussein Maldives 3rd Place European Champion Petra & Flyboard Cyprus Marco Jet Gliss and Fly Recorded using iPhone 6S plus, Go Pro Hero 4 Black, DJI Phantom 4. Filmed between Cannes and Antibes, Juan les Pins.